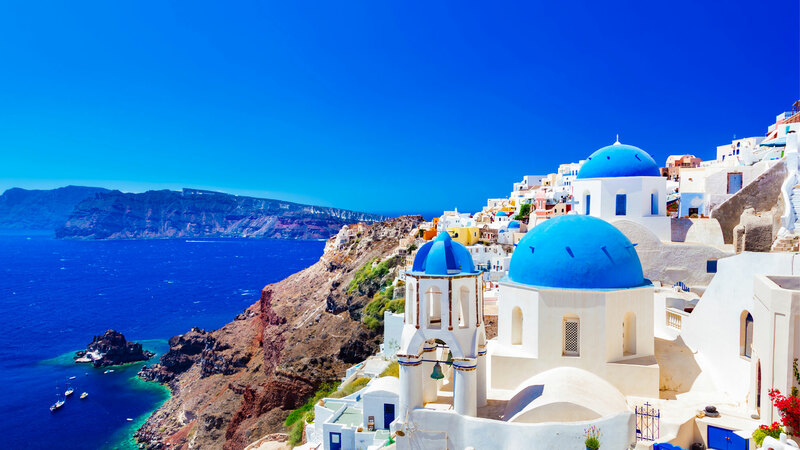 Inspired by the clear blue summer skies of Greece, Diamond Summer is all about summertime styling! 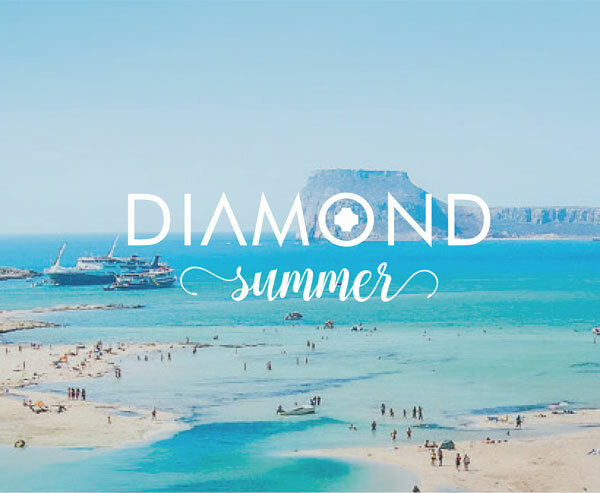 To accessorise your summer fashion, we’ve curated a dainty summer collection in Diamonds! Each jewellery piece is lightweight with delicately encrusted diamonds, that keep your accessorizing alluring and hassle free in the summer! 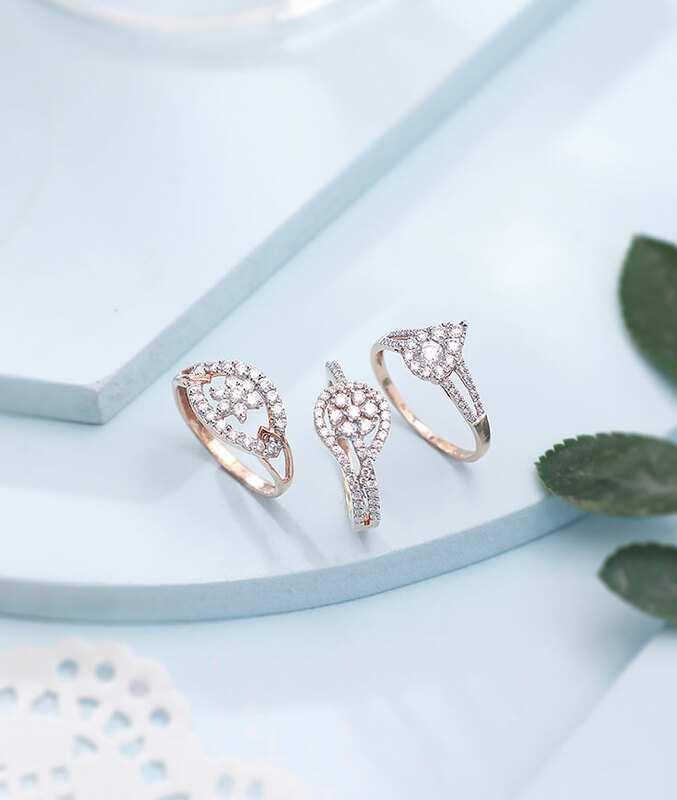 Floral designs and wavy motifs crafted in 18K gold give you that fresh summer vibe, while those gorgeous diamonds shimmer away in the sunlight! 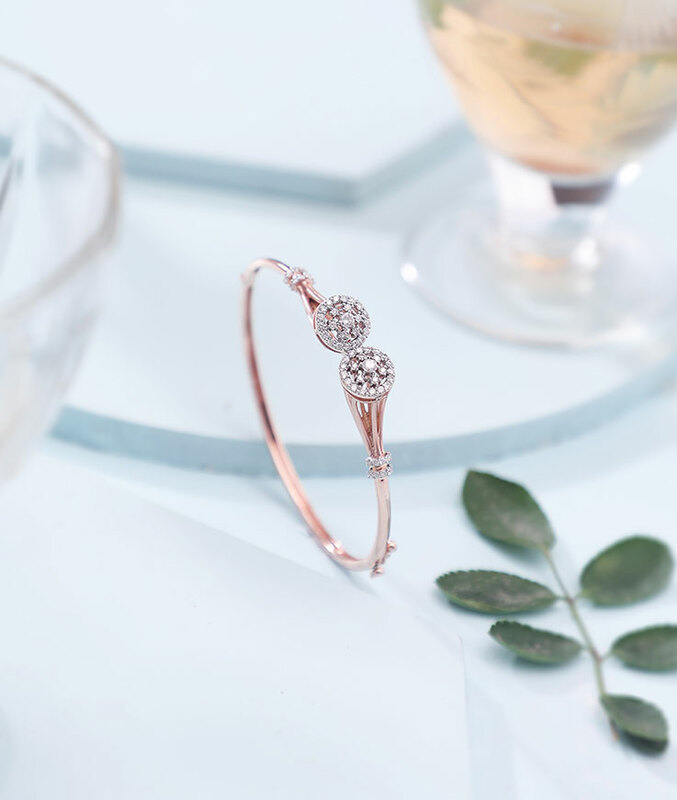 Delicate diamonds are the call of summer fashion! like this pretty 18k hallmarked white gold diamond pendant set which comes with a dainty summer rose in rose gold with rows of diamonds. 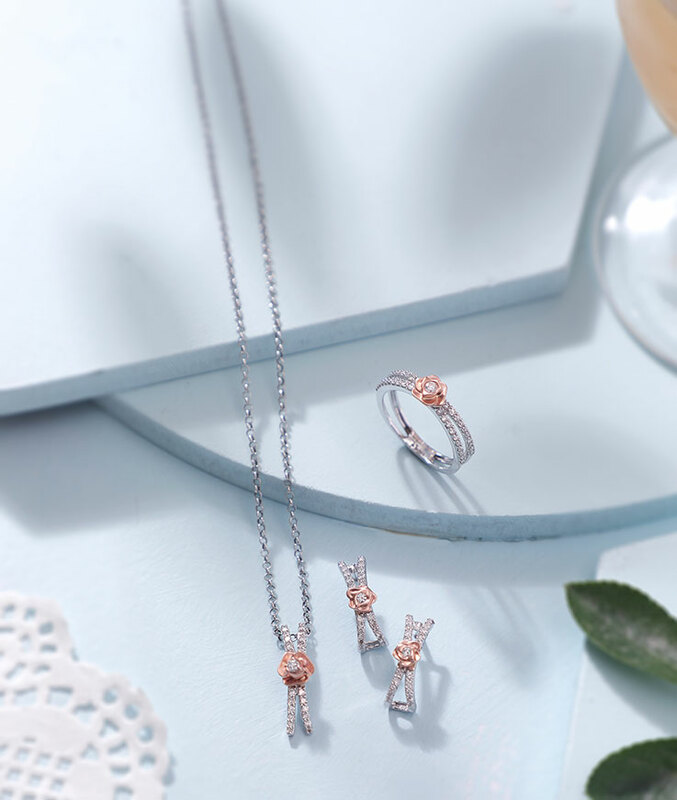 the diamond pendant set can be paired with this elegant dual toned gold ring with VS GH diamonds to complete the look. Gorgeous twirls of 18k hallmarked yellow gold studded with circular diamonds effortlessly lace your look together. 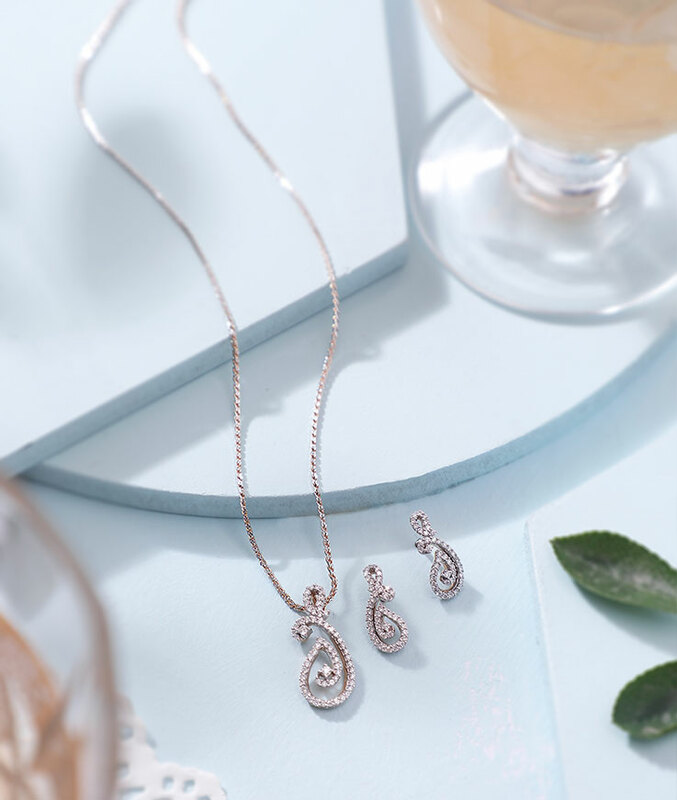 The twirls of diamonds curve gracefully to form drop like shapes to give your look a classy touch this summer. 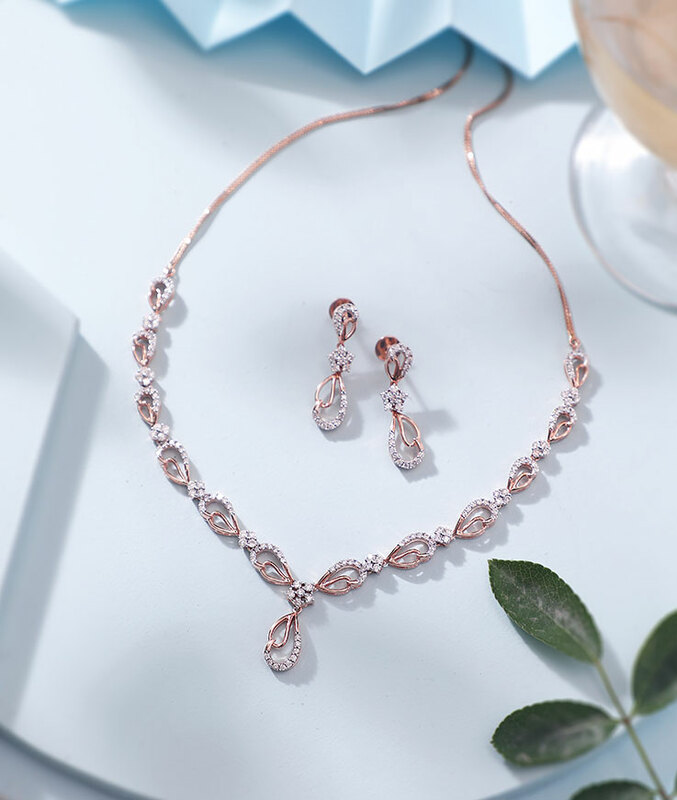 Beautiful droplets of 18k hallmarked rose gold intertwined together to create little florets of 1.98 diamond carats with VS GH quality diamonds forming a graceful little diamond necklace perfect for the summer. 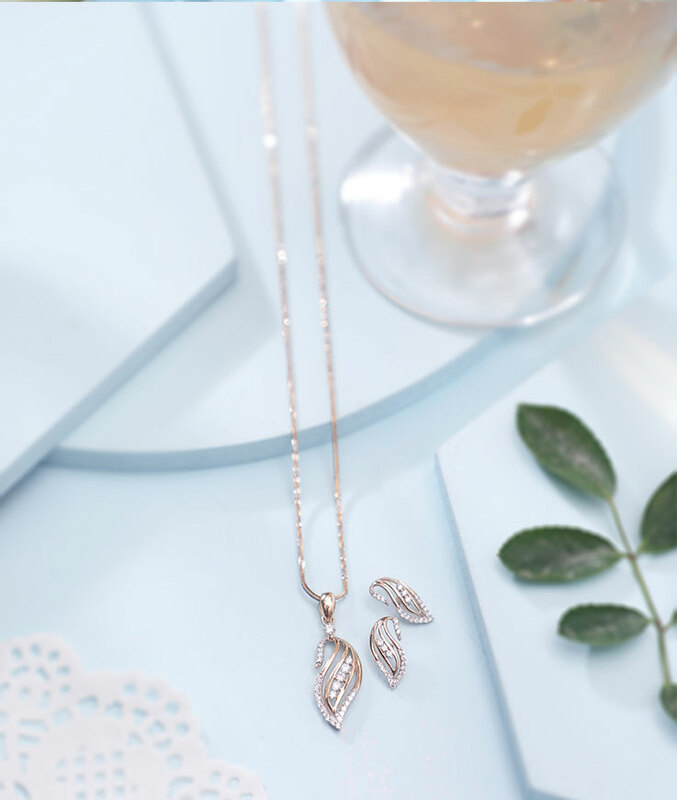 A striking 18k hallmarked rose gold diamond pendant set with a gorgeous feather like design to give you an easy breezy look this summer. 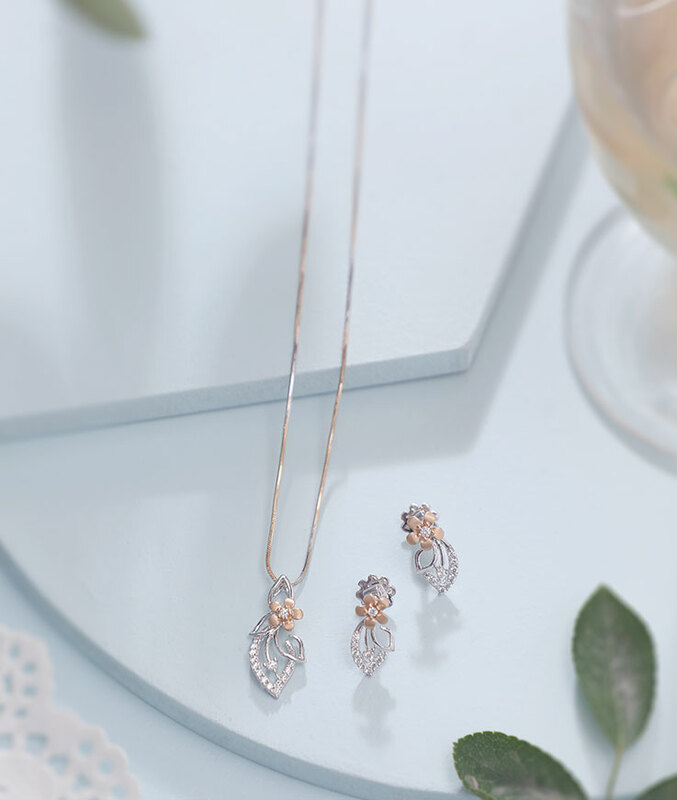 Studded with VS GH quality diamonds, the waves of rose gold give the pendant the right amount of bling along with pretty studded earrings to complete the look. A beautiful real diamond pendant composed using 18k white gold to dance with you this summer. The pendant is studded with 2.55 cent VVS FG quality diamonds, using the cluster setting surrounded with a delicate dual halo in a heart like shape which makes it your perfect summer best friend. 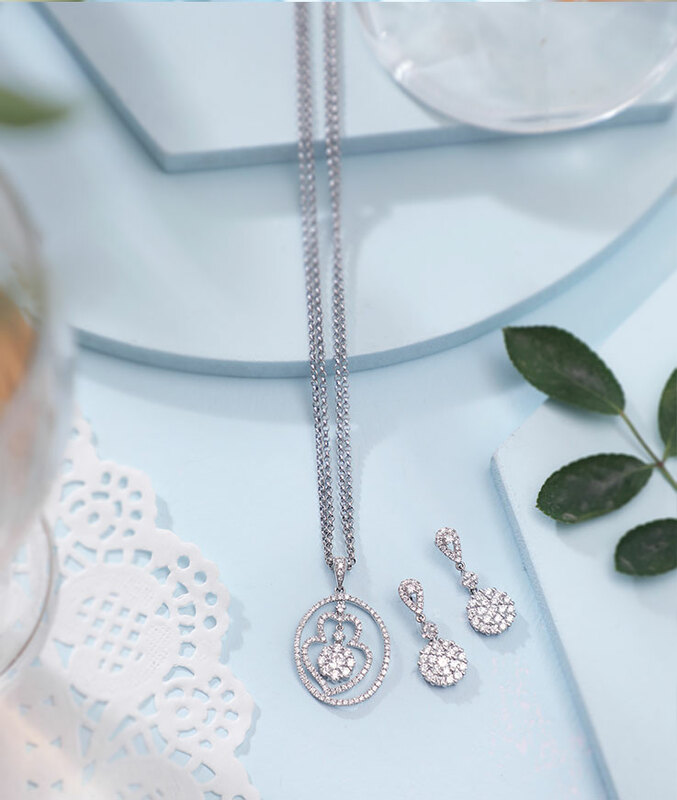 A gorgeous real diamond pendant set created using 18k hallmarked white gold studded with little circular diamonds set together to form a flower and is accompanied with a ravishing circular pendant consisting arcs of white gold alternatively, studded with 0.73 cent VVS FG quality diamonds and lovely dangling earrings to compliment the diamond pendant. 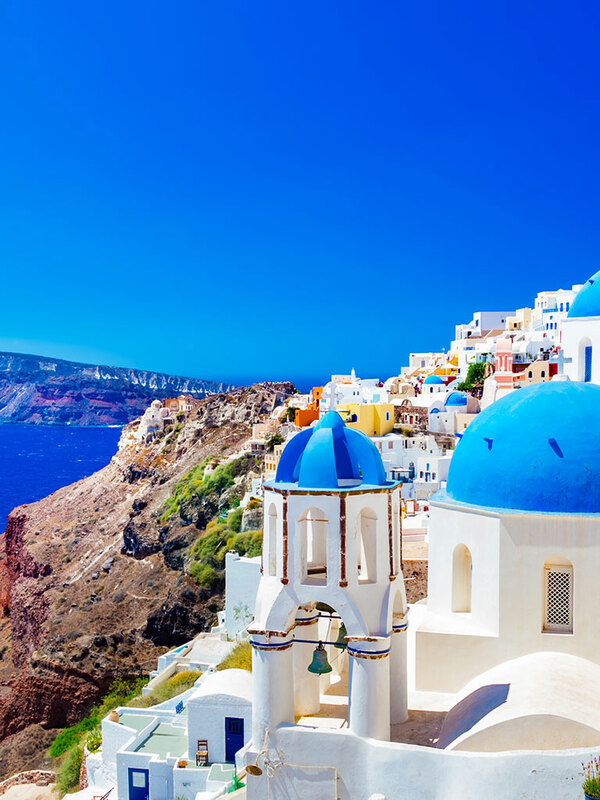 Make these beautiful 18k yellow gold rings your go to accessory this summer. An elegant diamond embrace around beautiful floral diamond motifs gives you an opulent look this summer. 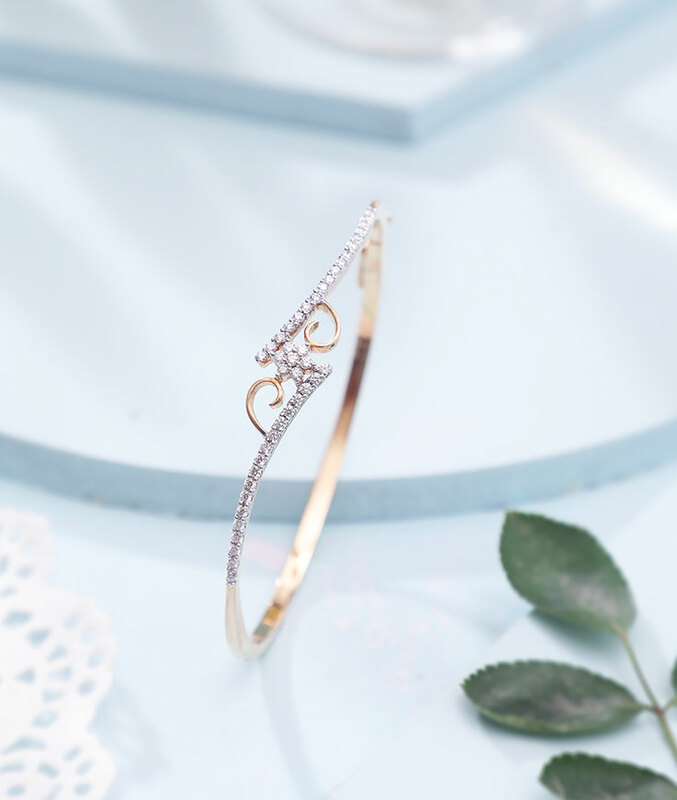 Elegant diamond bracelet composed of 18k hallmarked yellow gold studded with 0.88 cent dual leaf like motifs completed with a row of VVS FG quality diamonds are held together by a pretty floral diamond. 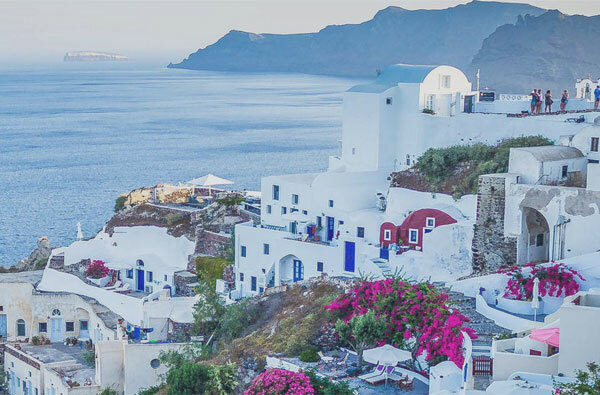 Perfect for that summer vacation, isn’t it? 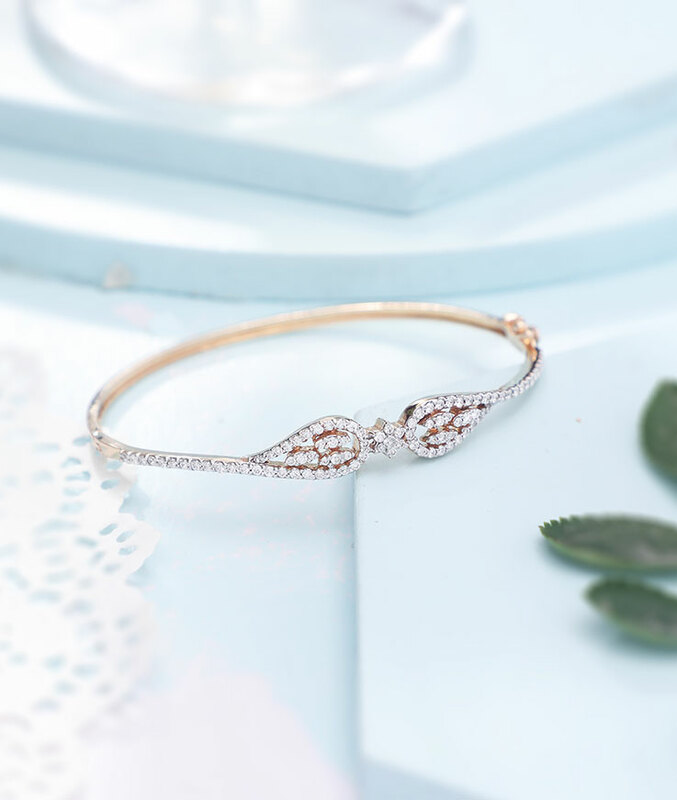 Dainty floral diamond bracelet made up of 0.61 cent VVS FG quality diamonds which form a flower along with two delicate lines of diamonds and 18k hallmarked rose gold fine-spun to create beautiful arcs giving you an exquisite look on-the- go. A diamond silhouette and that too in floral motifs makes for an ideal summer wear. Crafted in 18k white gold with VS GH diamond quality, this playful lightweight diamond bracelet is summer fashion personified. 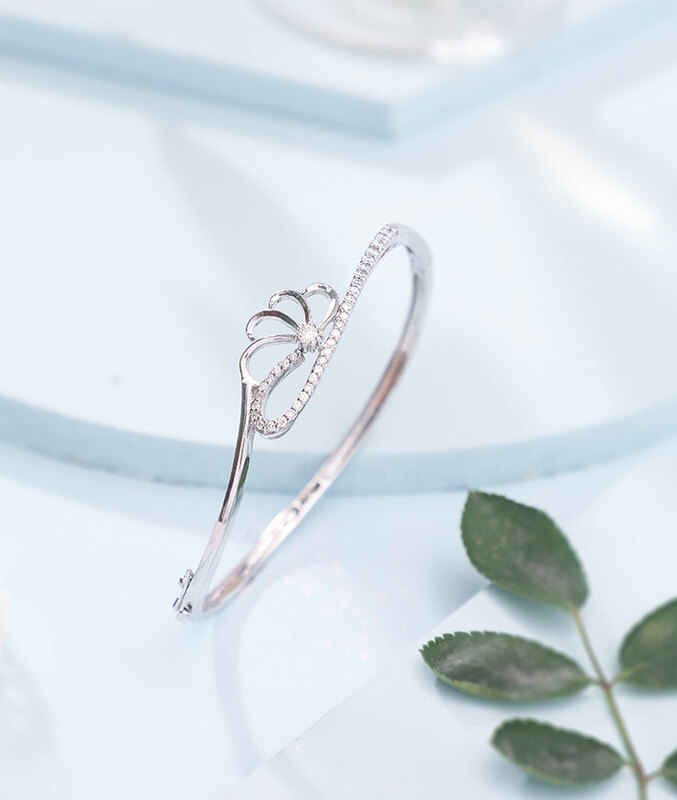 Contemporary diamond bracelet with 18k Hallmarked rose gold along with dual bouquets of diamond flowers comes with VS GH quality diamonds and 0.84 cent circular diamonds. 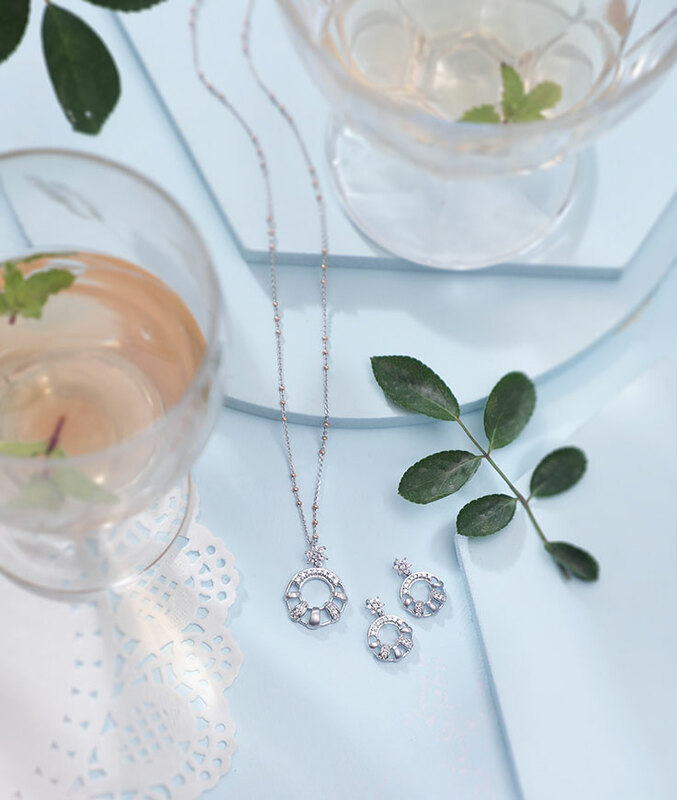 Six round diamonds come together to form petals and a halo of diamonds for a classy summer vibe. Diamond Leaves in white gold and VVS EF diamond quality, 0.29 cents diamonds with a dainty rose gold flower is an artist’s summer décor impression. Light casual and summery, this pendant is your summer dresses’ perfect match!